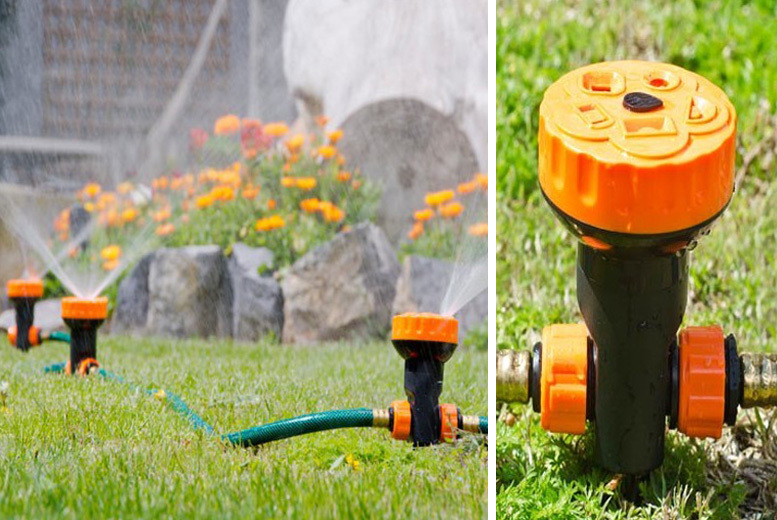 Get a Jocca portable sprinkler system! With five different water diffusers. And three attachable hoses (180cm). As well as 3 sprinklers (21×7.5cm). With a maximum watering square of 30 m2. Keep your garden looking fresh!